Maximize the income on your portfolio with Firstrade’s $0 commission trades and Options Wizard’s covered call screener! 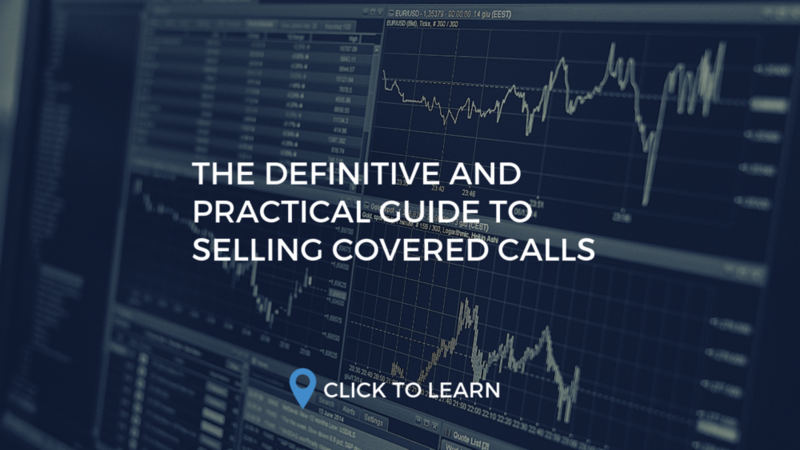 Learn to generate a consistent income stream for the existing stocks in your portfolio by selling covered calls with this easy guide! A covered call is the single most popular strategy to add income to your stock and ETF portfolio. This simple option strategy only requires 100 shares of a stock or ETF and selling a call option against it to generate yield. Effective in most market conditions and outlooks, this income strategy suitable for most investors. However, selecting the right expiration and strike price may seem daunting with so many options, see how Options Wizard eases this process! Selling a covered call obligates you to sell the stock at the strike price upon the expiration date. Just as a limit order would be placed at a price higher than the current price, the same methodology applies to selling a covered call. Covered calls should be sold with Out of the Money (OTM) strike prices. For example, if AAPL was trading at $170, an investor might want to sell a call option with a $185 strike. The higher the strike price, the less premium is paid to the seller as there is a lower probability of the stock price reaching the strike price before expiration. Picking a strike price that is close to the current price of the stock may be tempting with higher premiums, but the tradeoff is with limiting the gains on the underlying stock. This tradeoff is the main decision every investor must make when selecting a strike price for covered calls. Our research shows that a 20 Delta Call (20% chance of the stock being called away) provides a reasonable balance between income and upside gains for the underlying stock. Selling short term options (3-7 weeks) tend to provide better long-term returns. Short term option contracts have an advantage due to the ability to avoid earnings announcements. Additionally, shorter term options take advantage of accelerating time decay as an option approaches expiration. Longer term options simply do not offer the same yield for the same unit of time and typically have a higher probability of including an earnings announcement. With any option strategy, manual selection of expiration and strike prices subjects’ an investor to mistakes and emotions that affect trading performance. The covered call is a strategy that yields the best results when a systematic approach is implemented. OptionsWizard is designed to automate the selection process to facilitate a systematic approach, increasing yields while reducing research time. Utilize OptionsWizard’s Income Settings to personalize your covered call preferences and allow OptionsWizard to find the covered calls to suit your needs. Simply select a time-frame (Short, Medium or Long) and risk-tolerance (Conservative, Optimal or Aggressive). Please view our full webinar on this topic to see this platform in action. With covered calls, the goal is to hold the hold the trade until expiration and let the contract expire worthless. Therefore, it is important to pick a strike price and expiration that minimizes the risk of the stock reaching that price while maximizing the premium received. Once an option expires worthless, the covered call strategy can be repeated, and this generates a consistent stream of income from simply owning any stock or ETF. Utilize OptionsWizard to help you find the right balance between income and probability of selling your stock. Lastly, keep in mind that if your stock does get called away, this equates to a large gain in your underlying stock position and a profit taking opportunity! Newer PostWhat Better Way to Say I Love You? It’s Never Too Early! Older PostPay Now or Pay Later? Roth vs. Traditional?